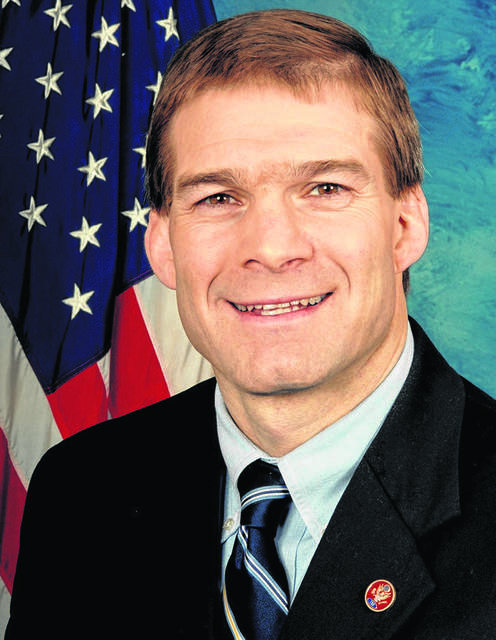 WASHINGTON — Rep. Jim Jordan, the Ohio Republican and a high-profile supporter of President Donald Trump, told Roll Call on Thursday that he would not seek the top GOP slot on the House Judiciary Committee. “It’s been made clear to me, talking with leadership, that I’m not going to get that job, so I’m not going to do it,” he said. “It would be a waste of my time, a waste of their time, so I’m not going to pursue that. What they decide with ranking member on Judiciary is up to Leader McCarthy,” a reference to Kevin McCarthy of California, the outgoing majority leader who will be minority leader in the next Congress. Jordan, who sits on both the Judiciary and House Oversight and Government Reform panels, was seen as a potential foil for Democrats as they are expected to pursue various investigations against the Trump administration come January. But he also said that he would not seek the top Republican spot on Oversight, either, explaining that he did not want to cross a high-ranking friend on that committee, North Carolina’s Mark Meadows. Before he spoke of his decision to withdraw, Jordan could be seen making the rounds at an Oversight and Government Reform hearing on federal disaster response. He spent time talking to fellow Republicans Thomas Massie of Kentucky and Jody Hice of Georgia.